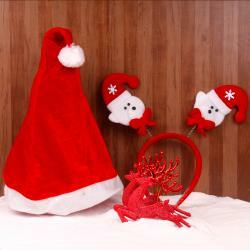 Product Consist : Teddy Bear with Santa Claus Cap (Size 6 Inches). (Teddy Color may vary as per availability). Are you confused what should be the best gift for the Christmas for your dear ones, then this teddy bear one of the best option for you. The very soft and cute teddy bear comes in 6 inches size along with Santa cap. This cuddly bear looks so much funny in red cap as well as adorable too. Anyone can fall love with it. So it is a right time to surprise your girl friend or kids or someone who so cute like this teddy bear. 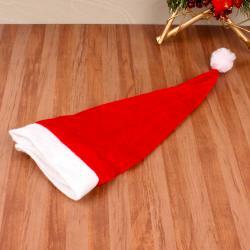 Product Consist : Teddy Bear with Santa Claus Cap (Size 6 Inches). (Teddy Color may vary as per availability).